Day two arrived and looking out the window, the weather looked rather nice and there was even some sunshine! I was in a really good mood after a great start yesterday with a lake silvers win and Chelsea winning the Premiership, I just needed to draw a decent peg on Longs now. I got a coffee and waited while Pete and some of the anglers decided on what pegs to use today. 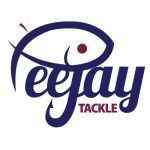 I was relieved when I saw he wasn’t going to put 39 in today as I just can’t get on with that swim although peg 1 was going to be used instead and I didn’t really fancy that much either. I’d also like to avoid the bottom corner (pegs 20-25) if possible. The draw was announced and I hung back again, when Glynn said he had peg 1 and Mark Leahy revealed he had 20, I felt it was safe to stick my hand in the bucket, like yesterday there were only two balls left and I picked one and was a bit gutted when I saw I would be on peg 15. Pete even said he’d bet me a fiver that I wouldn’t catch a single silver today!, which didn’t do my confidence any good whatsoever. Peg 14 wasn’t in and as it’s been doing some decent silvers weights, I still thought there was a chance I’d get a few today. I got to my peg and surveyed the scene, the peg is on a corner with reeds to my right where lots of carp live so I’d be avoiding that. Ray Wickham was on peg 13 and I had Rob Birch on peg 17 on my left which was the next peg as bizarrely there isn’t a peg 16! I couldn’t believe we were next to each other when peg 12 was left out, I know which peg I’d rather be on! I mixed up a little groundbait before setting my rigs up, a 10 x 11 MW F1 Slim for the 10 metre lines and a 0.2 gram NG Gimp for 5 metres. In previous matches on Longs I’ve had problems from small fish using 4mm expanders so today I had some 6mm expanders, jelly pellets and some banded hard 6mm’s which would hopefully counteract that. I plumbed up one line at 10 metres towards peg 14 and another straight out at the same distance and then my final line at 5 metres. Ray came round and let me have some boiled sweets before the start, cheers mate and then Adie tooted on his whistle to get us started. I put in half a pot of micros on the right hand line (in front of peg 14) and the same at 5 metres before cupping in two balls of groundbait on the other longer line. I started with a 4mm expander on the right hand line and fully expected to get indications straight away if only from small fish. The float just sat there which was a bit of a worry, I swapped to the other line with the same result and this wasn’t the start I’d hoped for. Ray had a couple of small fish before my float dipped and I netted a 4oz skimmer which was a start. 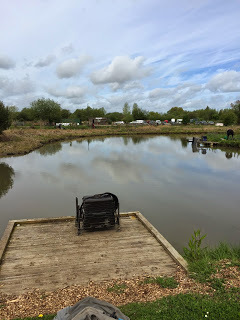 I added a couple more small fish and then Ray had a nice little crucian and also added a couple of better skimmers, Rob had a decent skimmer on paste so at least there were a few about. I kept dripping a few micros on the 5 metre line and with the lack of activity on my longer lines, I might be trying it earlier than I would have liked. Ray had a tench and Rob was catching the odd skimmer and after two hours I only had around 4oz and was getting battered and it was starting to look like the second day curse had struck again. I briefly tried the 5 metre line and bumped a fish before catching a blade but I was going nowhere fast. I was trying not to panic but I needed to catch some decent silvers and I just couldn’t see it happening. Mark Cox came for a look round and let me have some Swede Floats to try (check them out on Facebook, they certainly look the business and I’ll be reviewing them and other makes of handmade float very soon), while he was sat with me I missed a bite on my shorter line before catching a small carp and then had my first decent skimmer (and it had only taken three hours!!!). Next chuck the float slid away and the strike met with solid resistance and the fish just plodded around and I was sure I’d just hooked a ‘get out of jail’ bream but then it woke up and after a five minute scrap I netted a 4lb carp – great! Ray and Rob were both still getting odd skimmers and after another carp from the shorter line, I went back on the longer lines, the float sailed away and this was definitely a skimmer, I gently shipped the pole back and the skimmer wallowed on the top like they tend to do but then I’ve thought ‘hang on, that looks suspiciously like a carp’ and it was, a small carp of 12oz that didn’t fight at all. I think I’ve realised then that it wasn’t going to be my day today. Next chuck I’ve hooked a carp that went crazy and after it gave me the run around, I slipped the net under a five pounder hooked neatly in the tail. I’ve come back on the shorter line and carried on catching carp, I did manage a couple of small skimmers and a 3oz roach in amongst them but they wouldn’t help much. Several times I’ve hooked fish and would have sworn blind they were bream only for them to turn out to be poxy carp. With half an hour to go, it started raining which just about summed my day up. The whistle went to end the match and I wasn’t sorry to hear it. I packed up and took my kit back to the car as the weigh started with Alan Jenkins on peg 37, he had 2lb 2oz of silvers, next up was Glynn in peg 1 (remember that peg I didn’t want? ), he weighed a brilliant 18lb 7oz of silvers and added 21lb of carp for good measure and got his pound back from yesterday. Nigel was on peg 4 also did well with 12lb 10oz of silvers and just shy of 30lb of carp and was in with a chance of making the silvers frame. 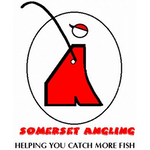 Rod Wootten had 56lb of carp in peg 7 and Nick Harvey had 38lb of carp in peg 11. Then it was Ray’s turn and he had 10lb 6oz of silvers which put him in with a shout of winning it, I was next and my carp went a level 28lb and my meagre silvers catch registered a lowly 2lb 6oz. Rob had 9lb 6oz of skimmers all caught on paste and then Mark Leahy in 20 (remember that other peg I didn’t want) had a lovely net of silvers weighing 15lb 2oz to put him firmly in the mix for a frame place. Jess in peg 23 had 16lb of carp and 7lb 11oz of silvers and then yesterdays carp winner, Jon Martin, had 30lb 8oz which put him third in the carp with four pegs to weigh. Lewis in peg 29 had 9lb 6oz of silvers and 72lb 13oz of carp to put him in with a shout on the carp front before Andy Hembrow on peg 31 did even better with 79lb 4oz of carp to go into pole position. Roy Hughes was next and had 13lb of carp and 7lb odd of silvers and then last but not least was Alvin on peg 35 and he 7lb of silvers and 54lb of carp. So with all the anglers weighed in, it was time for coffee, crisps and the results, I knew there would be no envelope for me today as my 2lb 6oz only beat four anglers and that included Dom who didn’t fish today! But who did take home all the prize money! 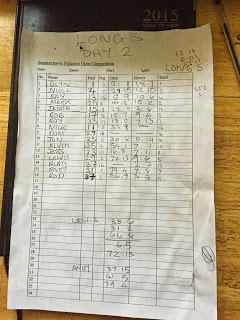 Well, quite a few anglers who’d done well yesterday blew out today and vice versa, on the silvers front, Ray Wickham won with 7 points so well done partner (that’s if you still want me!!!!) and Mark and Nigel tied on 8 points with Mark taking second place on weight. Andy Hembrow had 4 points yesterday and his win today gave him a 5 point total and first place in the carp. Lewis took second spot with 7 points ahead of Alvin who had also had the same points but an inferior weight. I felt sorry for Jon Martin who also had 7 points but finished first out of the frame on weight, unlucky mate. A disappointing day and I was gutted to blow out yet again but I just couldn’t catch skimmers and I really don’t think my peg did me any favours today (I knew I should have drawn earlier! ).